What people are saying about Gold Earrings! Click on this link to read the first 3 chapters of Gold Earrings. 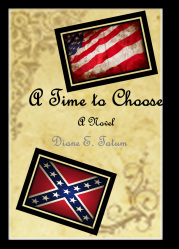 Read the first 3 chapters of A Time to Choose, Diane's new novel!